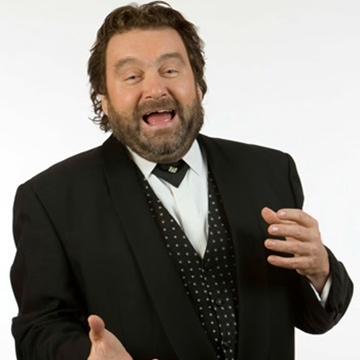 Brendan Grace - The great family comedian of our generation proudly presents 48 years in the Comedy business and most of this time at the very top of his profession. Brendan's latest show features the best and most requested pieces from his vast repertoire over the last 48 years. His sense of timing and ability to read an audience is without equal. A brilliant character actor, his 'Bottler' character is legendary and his interpretation of the 'Irish Wedding' will forever remain a masterpiece. Apart from his obvious star quality in all aspects of his performance Brendan's drawing power is enormous and the House Full sign is the norm rather than the exception at his concerts. Although Brendan now resides in the United States with his wife Eileen and family and enjoys international success brought about by his association with the Late Frank Sinatra. He still tours Ireland on a regular basis, and indeed still considers Ireland his first love. His meet and greet with his audience is much appreciated and Brendan feels that it is important to be available for a chat or a photo after the show, especially so when people go to the trouble and expense to come out to see his show.